Serving Individuals and Businesses Throughout Wisconsin. Innovative, Energetic and Respected Madison Law Firm. We are an experienced and knowledgeable Madison law office serving individuals, families, businesses and government entities in diverse areas of civil and criminal law. Year after year, roughly half of Pines Bach attorneys are named by Wisconsin Super Lawyers magazine as top attorneys and Rising Stars in the state. Only five percent of the lawyers in the state are included in the Super Lawyers listing and only 2.5 percent of attorneys are named to the list of Rising Stars in the state. Firm attorneys are also listed in the Best Lawyers in America and other "top lawyer" lists. When you want recognized experience and strong client advocacy, contact our lawyers. We Recognize Our Clients Are More Than Their Legal Concerns. 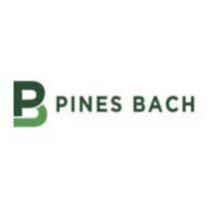 Pines Bach is committed to delivering top-notch, caring and committed legal counsel that protects our clients' rights and their well-being. Our timely, effective and efficient legal counsel creates uncommon value and facilitates our clients' ability to succeed. Relief and Reassurance With Our Legal Counsel. After speaking with one of our attorneys, clients often experience a sense of relief and reassurance. They know that we understand them because we listen and take the time to analyze the issues that they are facing. From us, clients come to know exactly what to expect and have an understanding of the legal process and their legal challenges. We "partner" with our clients to give them a voice in the resolution of their legal issue. When you seek solutions that are customized to fulfill your needs, please contact Pines Bach by calling 608-251-0101 or visit our website.